I love the idea of Cashew Chicken cooked in the slow cooker or the pressure cooker so the house stays cool. 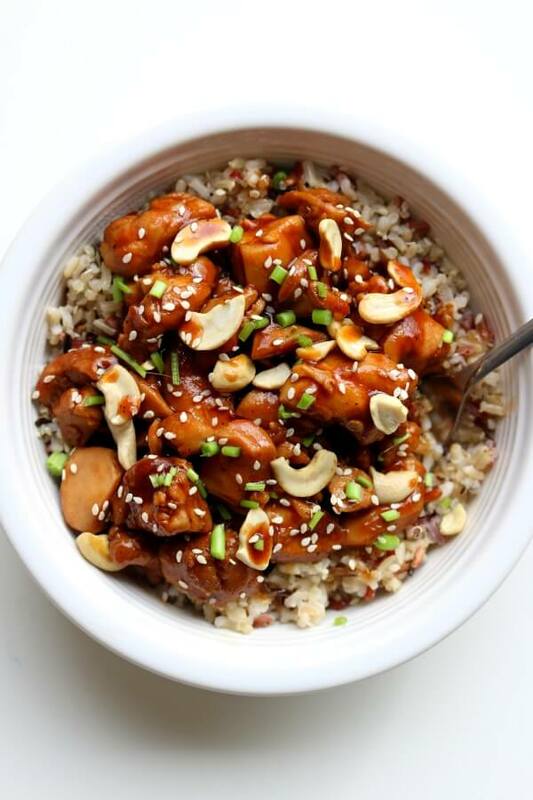 You won’t need to order takeout once you master one of these versions of Cashew Chicken! Click for The Best Instant Pot and Slow Cooker Chick Drumsticks Recipes! Slightly spicy Cashew Chicken is one of those beloved dishes that people always order at their favorite Chinese American restaurant, and now you can make it at home in the slow cooker or the Instant Pot thanks 365 Days of Slow Cooking + Pressure Cooking. 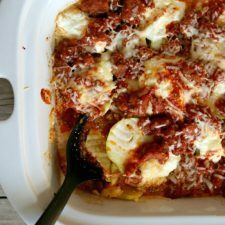 Karen says she wasn’t expecting to love the slow cooker version of this recipe as much as she did, and later she ended making it in the Instant Pot as well! 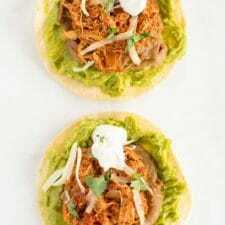 The recipe starts with boneless, skinless chicken thighs that are browned and then cooked in the slow cooker or the pressure cooker with a flavorful barely-spicy sauce. Stir in cashews at the end and serve over rice for a tasty Cashew Chicken dinner the whole family will love. Get the complete recipe for Slow Cooker Cashew Chicken or the complete recipe for Instant Pot Cashew Chicken from 365 Days of Slow Cooking. Karen recommends a 3-Quart Slow Cooker or a 6-Quart Instant Pot for this recipe. I adore cashew chicken and having an easy way to prepare it is a plus! Pam, that's just what I thought when I found the recipe! What a wonderful chicken dish! I just love all your slow cooker recipes! I'm putting your great blog on my sidebar! I am so excited to get great and easy recipes!!! YEA! Thanks Yvonne. So glad you're enjoying the recipes and I really appreciate the link! Just shared the link on my gfe Facebook page, Kalyn. Can't wait to make this one! Thanks Shirley. She does use flour to brown the chicken, but I would just skip that!